An iconic American brand and long-time staple of New Orleans is finally coming back to its roots with Sazerac’s acquisition of Southern Comfort brand. The parallels between Southern Comfort and the New Orleans-based Sazerac Company run deep. M. W. Heron, the creator of Southern Comfort, was born in 1850. The Sazerac Cocktail was created in New Orleans in 1850. As the Sazerac Company was expanding its roots in New Orleans in the 1870s, Heron was introducing his Cuffs & Buttons brand – the precursor to today’s Southern Comfort – in 1874 as a “smoother, more refined whiskey,” while tending bar in the Crescent City. Now, the Sazerac Company is thrilled to bring the brand back to its deep Southern roots and plans to restore the New Orleans connection in its branding and on its packaging worldwide. Sazerac will be developing its comprehensive global strategy for Southern Comfort in the coming months, including evaluating the current assortment of Southern Comfort product offerings and packaging before making determinations about any specific changes or new additions. Today the brand sells in well over 100 countries and is one of the world’s top selling global spirits brands. “We’re very excited about Southern Comfort’s rich history and the indelible role it has played in American society for over a century. It’s one of the great American classics and will be exciting to nurture moving forward,” said Richards. 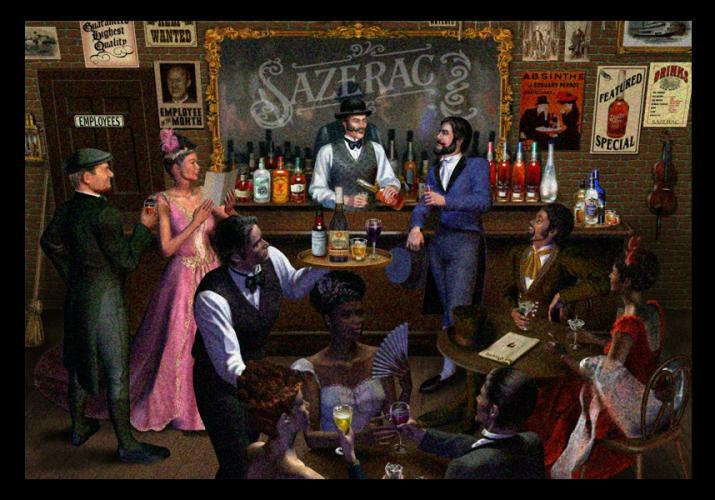 Sazerac is one of New Orleans’ oldest American family owned, privately held companies and has operations in New Orleans, Louisiana; Frankfort, Bardstown, Louisville and Owensboro, Kentucky; Fredericksburg, Virginia; Carson, California; Baltimore, Maryland; Lewiston, Maine; Manchester, New Hampshire; and Montreal Canada. For more information on Sazerac, please visit www.sazerac.com.